Welcome to 47 Waterfront Drive on Washington’s Landing. Interior freshly painted neutral colors! 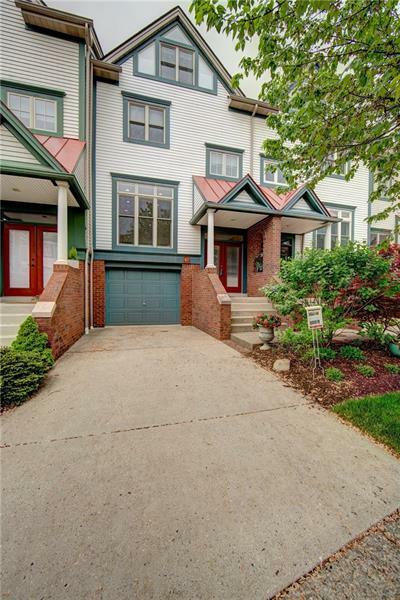 This move-in ready townhouse features open floor plan with rich hardwood floors, living room with gas log fireplace & mantle facade, built-in cabinetry. Kitchen with handsome wood cabinetry, gas stove. Spacious deck opening to lovely view of water (channel aka The Intercoastal). Three bedrooms, two full baths, one half bath. Double integral car garage. Enjoy all amenities Washington’s Landing has to offer: walking & bicycling trails, onsite full service marina, Redfin Blues Restaurant, Three Rivers Rowing Association, tennis courts. Exquisite views of city skylines. Low maintenance fees include roof, exterior, deck, driveway, snow removal, all landscaping. Minutes to Downtown Pittsburgh, Universities, medical centers, hospitals, stadiums, Cultural District. City living on the water. Come see!